April is considered volunteer month. 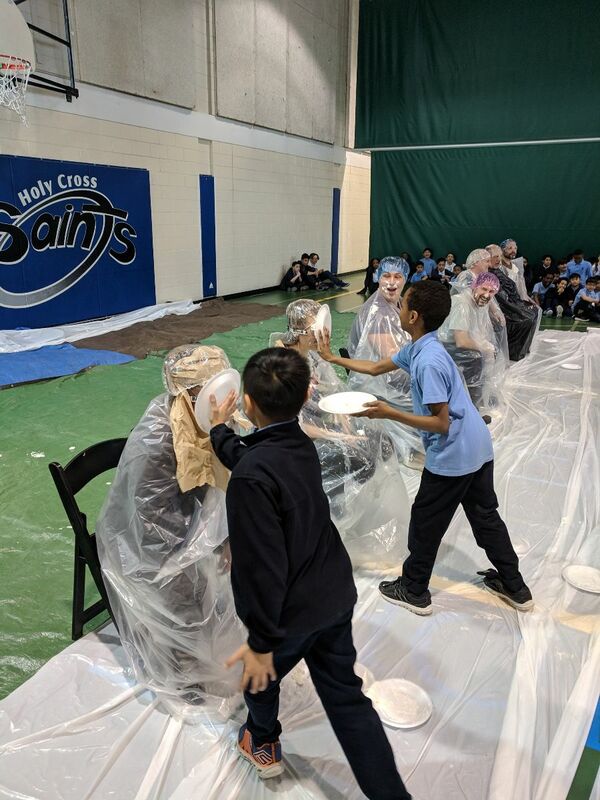 As such, let me take this opportunity to extend a warm thank you to all Holy Cross School volunteers for their heart of gold and selfless devotion to the education of our future generation. Your time, talent and daily commitment needs to be acknowledged in expression if not in kind. God bless you. 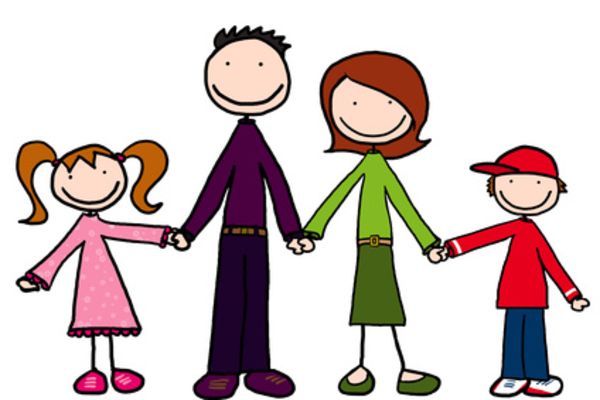 A successful parent teacher conference was held on March 20-21. During those two days it enabled parents and guardians to meet and discuss with teaching staff their children’s academic performance. 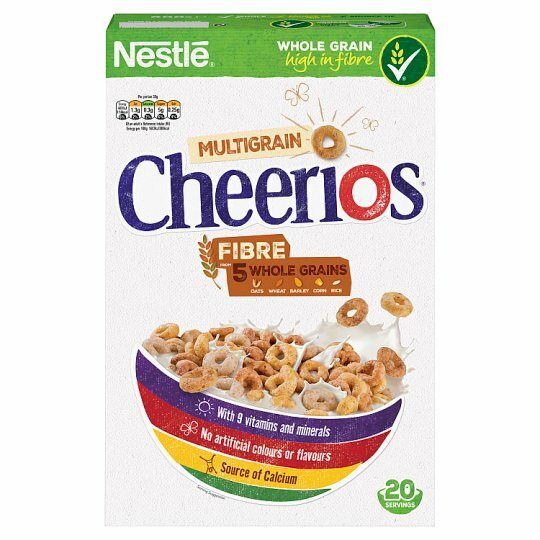 The Harvest Collection for April is CEREAL (high fibre, non sugar coated). Donations can be brought into the office. Thank you! 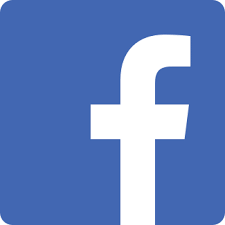 Be sure to like us on Facebook! 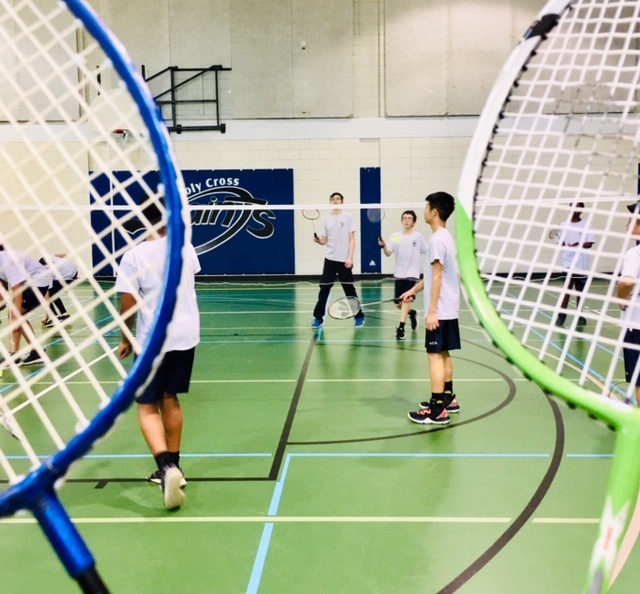 Keep up to date on many of the activities going on at the school. 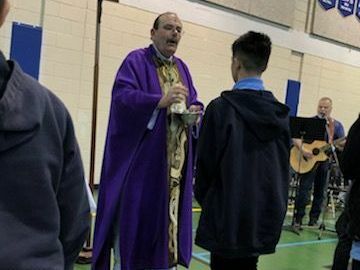 Ash Wednesday marked our annual mass with the Most Reverend Albert LeGatt, Archbishop of St. Boniface. 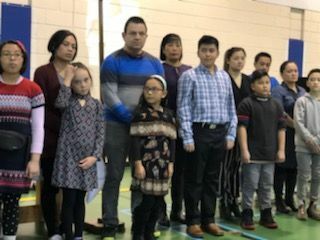 Our Sacramental Prep students and families participated in a Rite of Welcome. 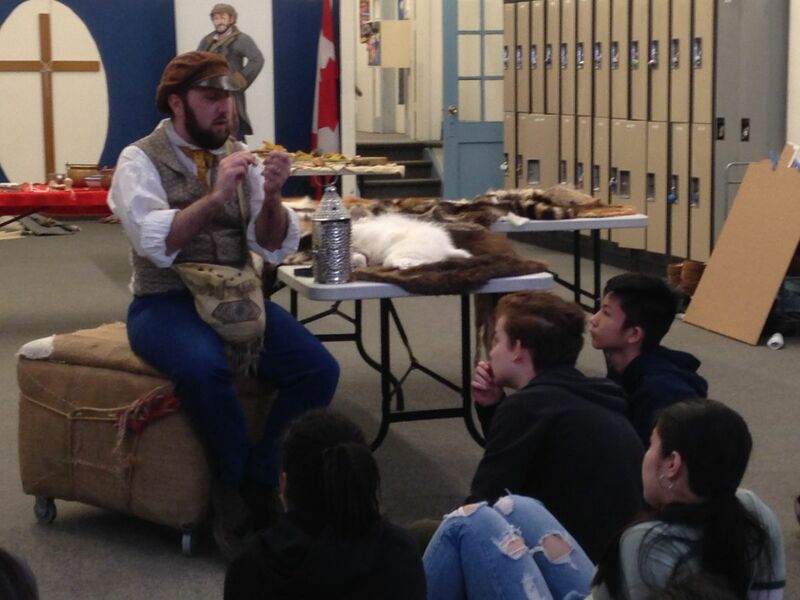 The Grade 8 classes were visited by TiBert the Voyageur. 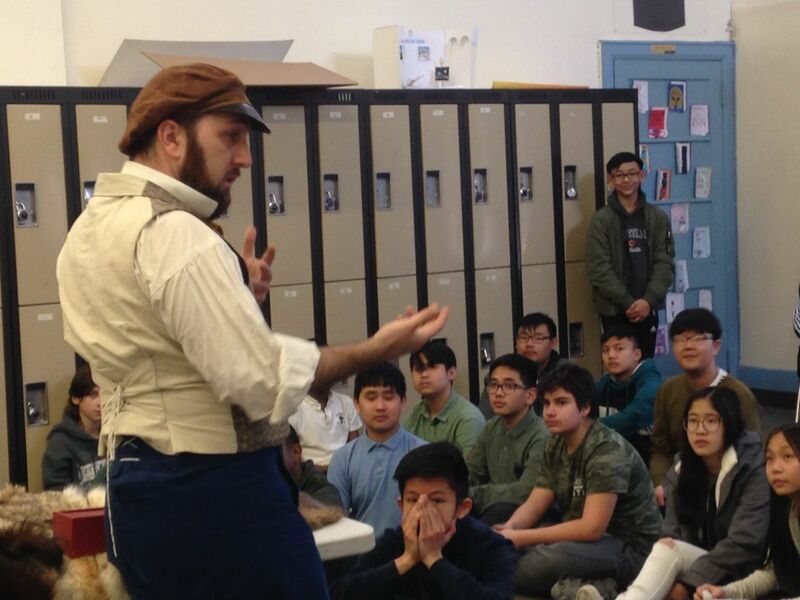 With his Voyageur museum, the students were able to feel, smell and ask questions about things the Voyageurs used during the fur trade. 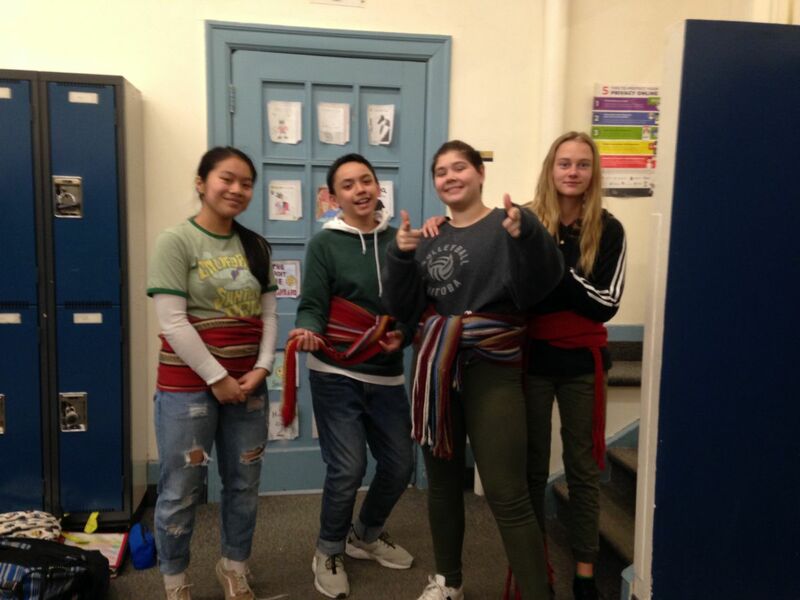 Students enjoyed trying on the voyageur clothing and playing some of the voyageur games. They got to explore the items and use an inquiry method to determine what the objects were used for. It was a fun and informative afternoon on French and Metis culture. 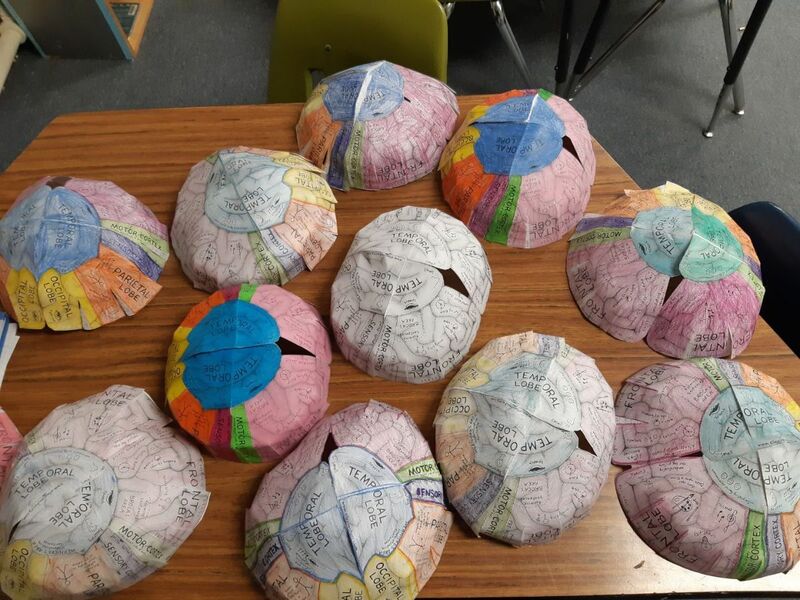 Ms. Tsiolas' Grade 5T class studied the functions and researched the brain, and then made their brains come to life! They are a bunch of brainiacs! 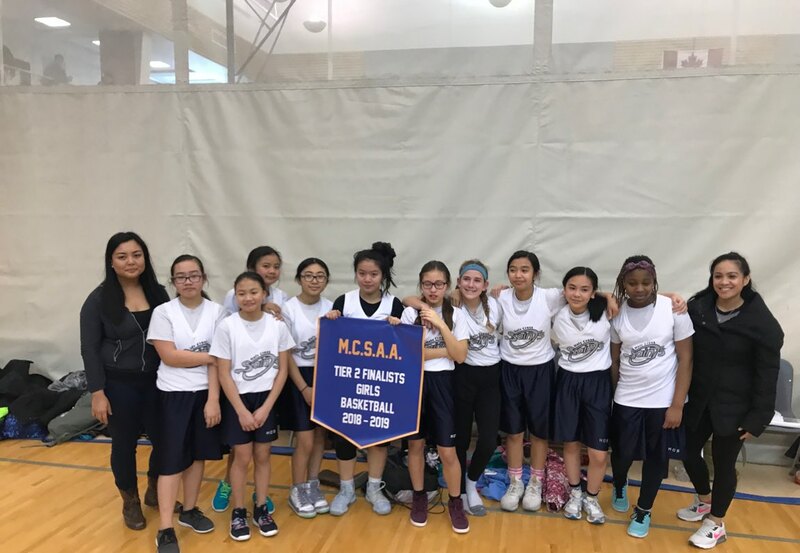 CONGRATULATIONS TIER II BASKETBALL TEAMS!! 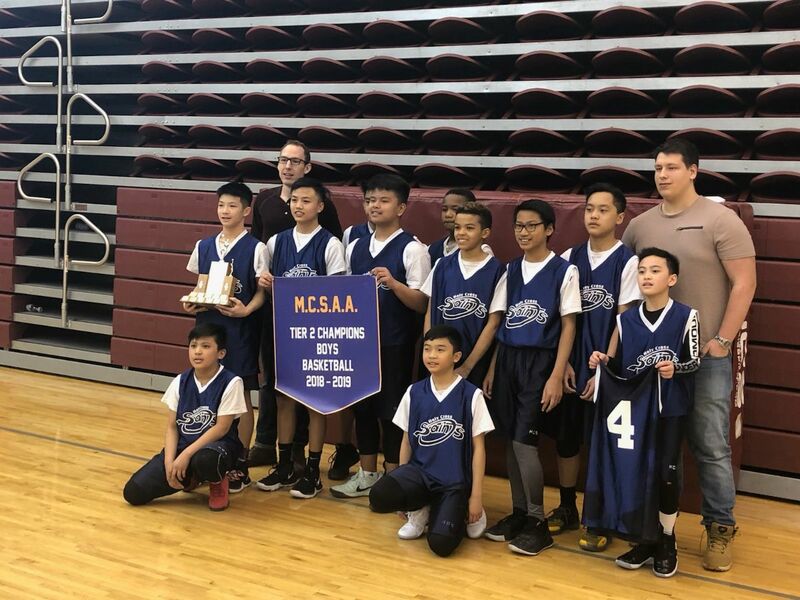 Tier II boys basketball team came in first place after an undefeated season! 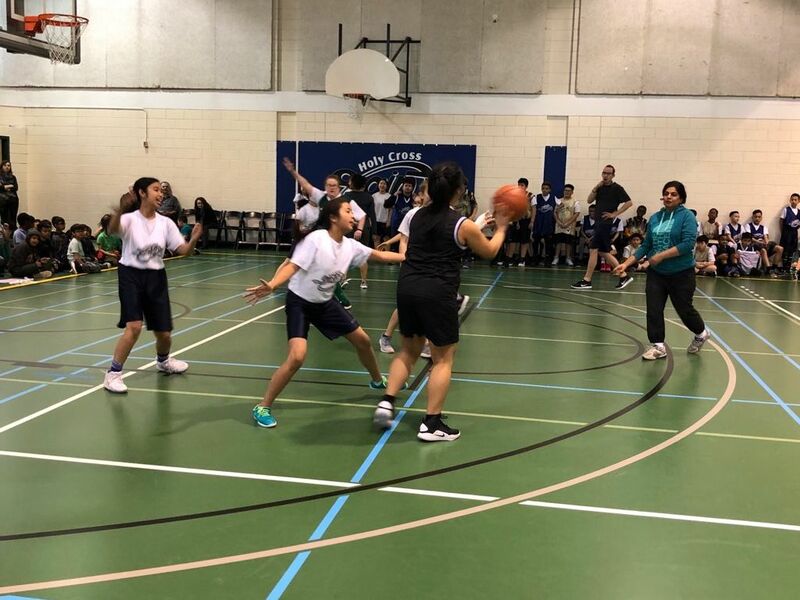 Tier II girls basketball team came in second place after a very close final. 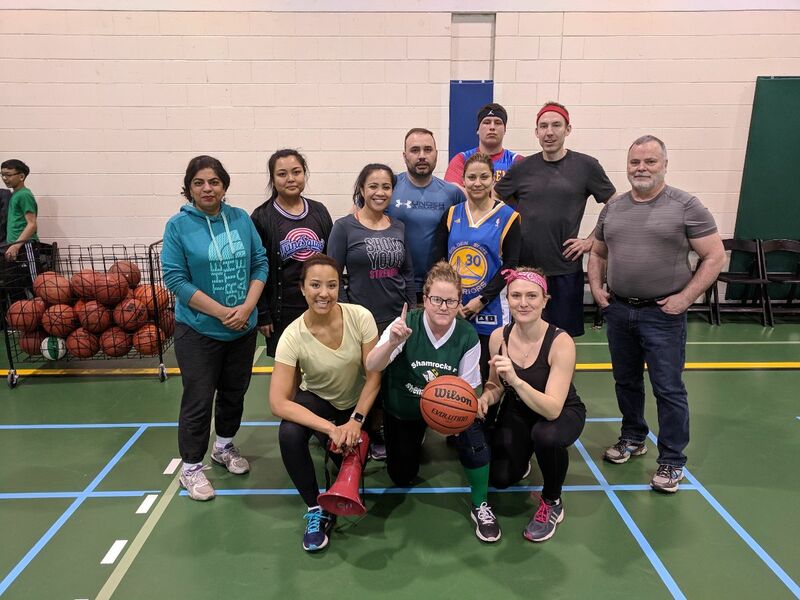 The Team 2 basketball team finished off a great season! 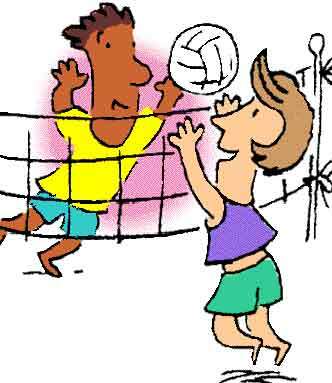 BADMINTON TRYOUTS ARE ON APRIL 4TH. 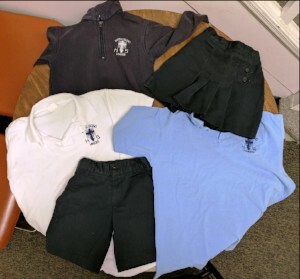 Holy Cross is again selling Show & Save books! Books went home on Wednesday, March 20th. All orders are due back by Tuesday, April 16th. NEW FEATURES FOR SHOW & SAVE!!! Show & Save is now available via MOBILE APP! The app is constantly being updated and includes over 300 money saving Digital Coupons. The app will expire one year from the date of activation. You no longer need to carry the book around with you and remember to rip out your coupons! In buying the digital app - you will receive a BONUS PAPER COUPON BOOK. These paper coupons will expire September 30, 2019, so be sure to use them up before then! 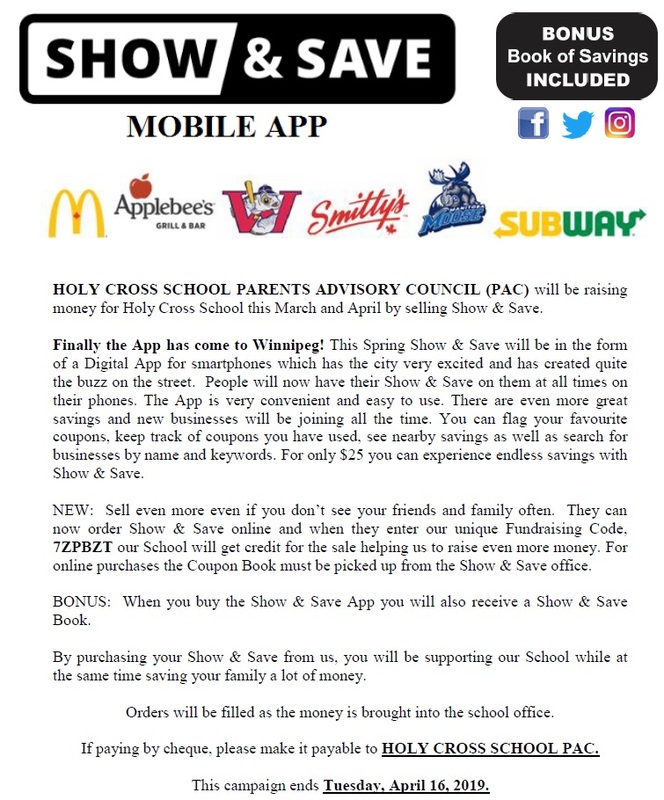 You can now purchase Show & Save directly at www.showandsave.com and when you enter the fundraising code 7ZPBZT Holy Cross School will profit from the sale. Are you looking for a one-time, half day volunteer opportunity, rather than a long term commitment? 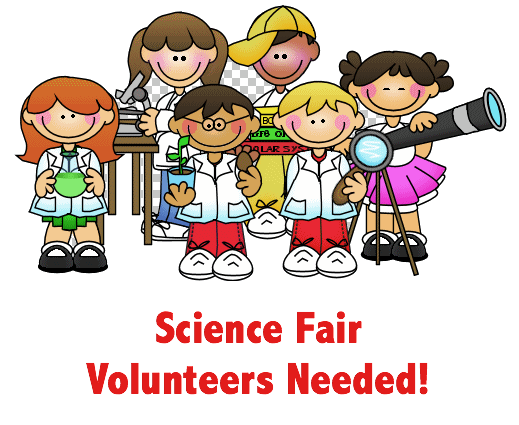 Then consider volunteering as an event or registration volunteer at the Holy Cross School Science Fairs to be held from April 9th-April 11th, 2019 from 8:00 a.m. to 6:00 p.m. for Grades 4-8. 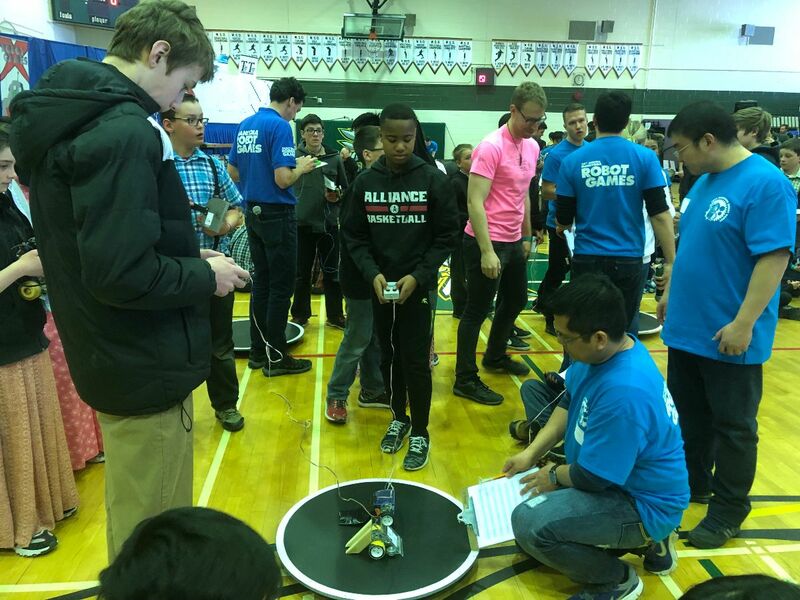 Our Robotics Club students participated at the Manitoba Robot Games at Tec Voc School on March 16th. Congrats to all for making it to the playoffs. 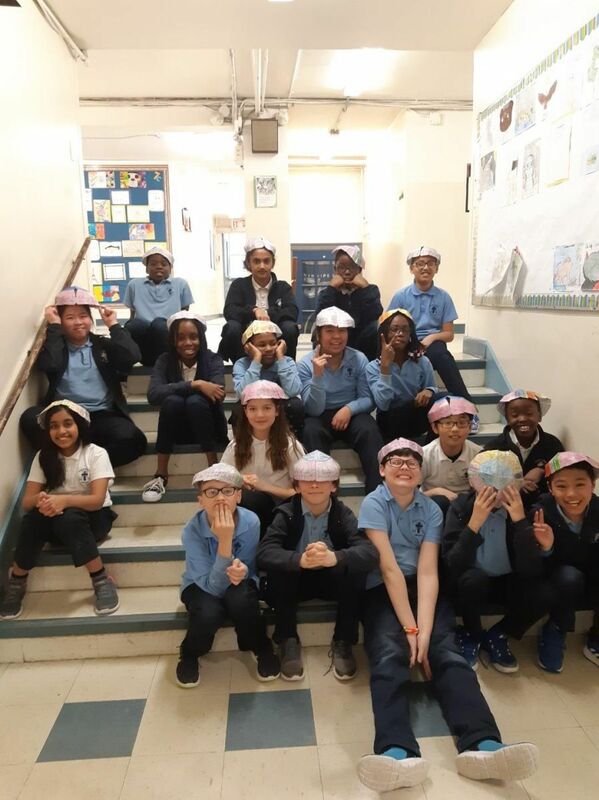 We had a very busy March month as we are getting ready for our Holy Cross School Science Fair (April 9th) and Bison Regional Science Fair (April 10-11). All students received feedback about their science fair projects from their teachers already. We are confident about their scientific and inquiry based skills. We would like to extend our invitation to grade 4-8 students to participate in the Bison Regional Science Fair. 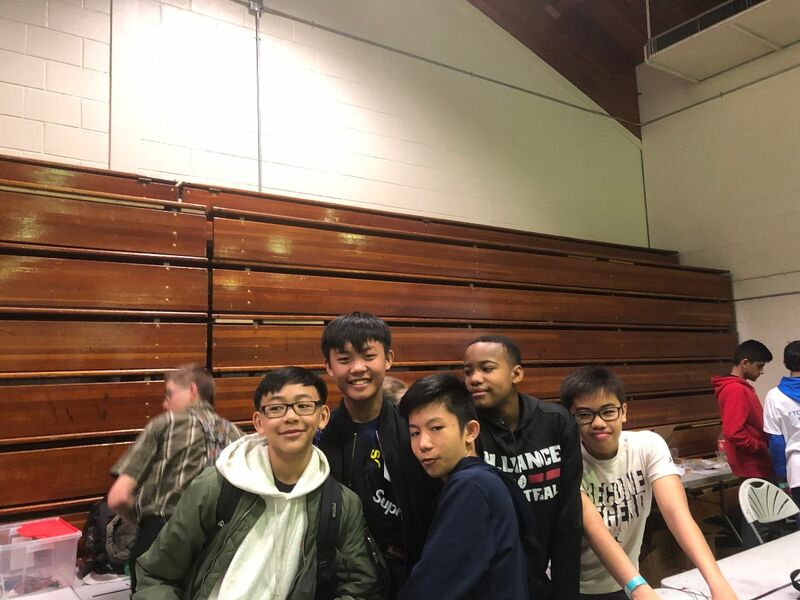 Here is a link for more information: https://secure.youthscience.ca/sfiab/bisonregionalsciencefair/login.php OR you can google “Bison Regional Science Fair”, we are on the top list and from home page click to the participant registration. Please let me know ASAP if you have any questions/concerns or need any help in that. 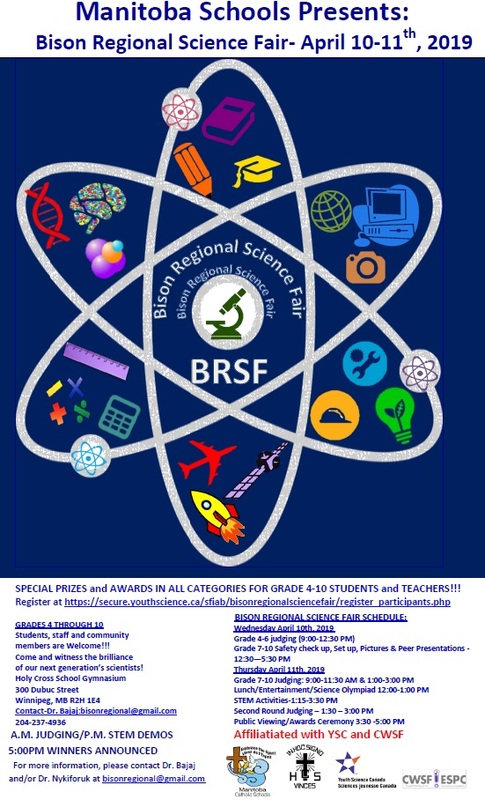 Bison Regional Science Fair is an extended opportunity for grade 4-8 students to compete with other schools, win more medals, plaques, trophies and much more! 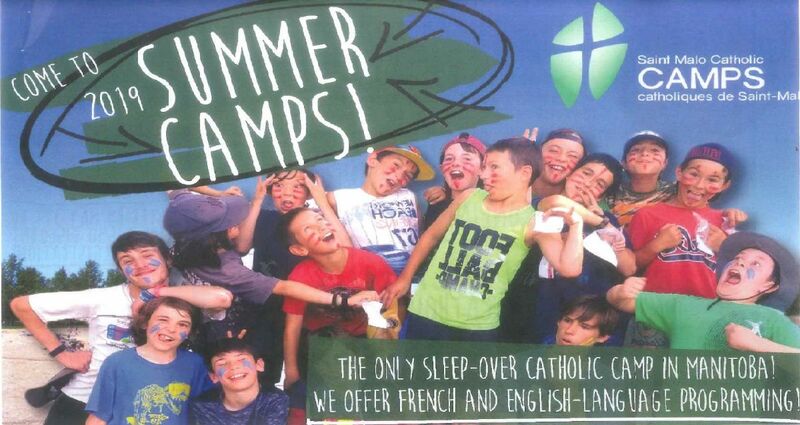 Registration fee is $40 per student and please make cash/cheque payment to Holy Cross School. However, the Holy Cross School science fair gold medalists’ fee will be paid by sponsors. 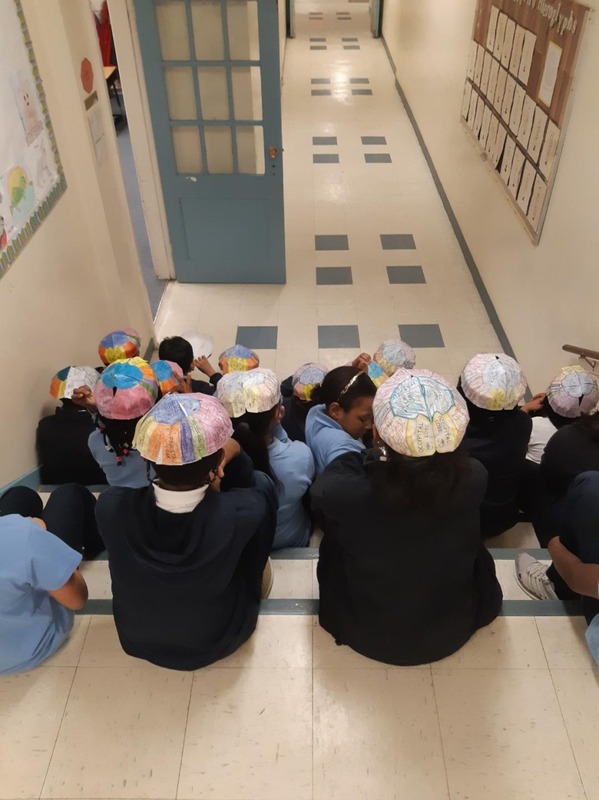 The students with the winning projects at the Bison Regional Science Fair will receive an all-expenses-paid trip to the Canada Wide Science Fair which will be held in Fredericton from May 12-19, 2019. This event gives participants the opportunity to compete for $1,000,000 in cash prizes, and special awards! 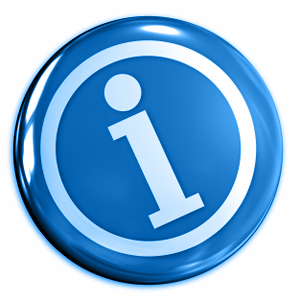 Please note that Bison Regional Science Fair will not affect the students’ class marks. 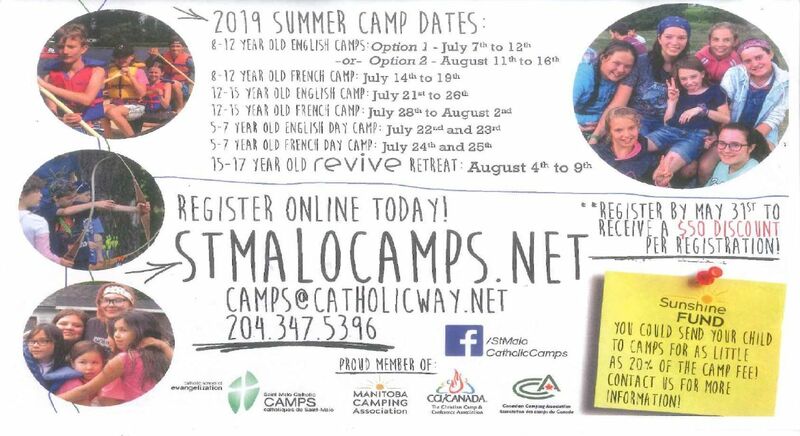 Students (Grade 4-6) and (Grade 7-10) can participate as an individual or group of two. 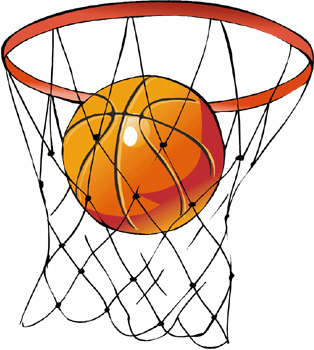 On April 10th- Judging for Grade 4-6 will be from 9:00- 12:30 AM. Students may go back to their classes after judging. 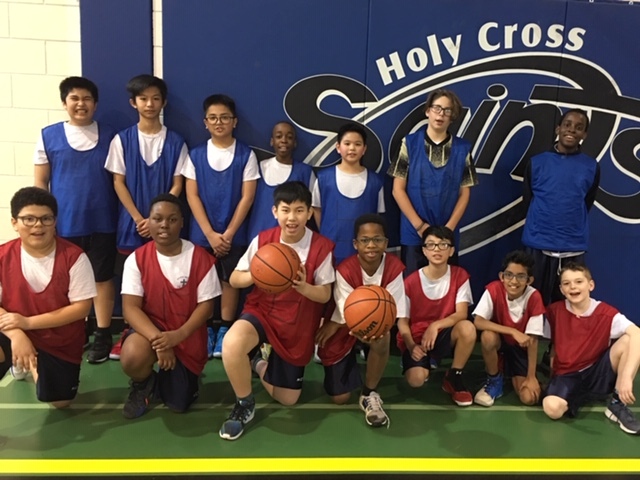 The awards ceremony will be on April 11 at 4:15 PM in the Holy Cross School Gymnasium. The following day on April 11th, Judging will be from 8:30-11:30 AM and 11:30 AM 1:00 PM. 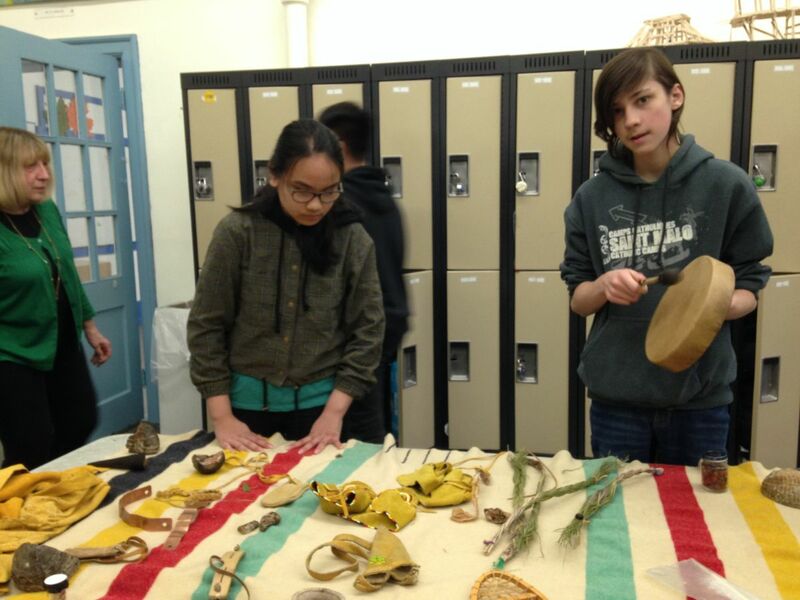 Grade 7-10 students will be participating in the hands-on workshop from 12:45/1-2:45 PM. That time the second round of judging will also take place. 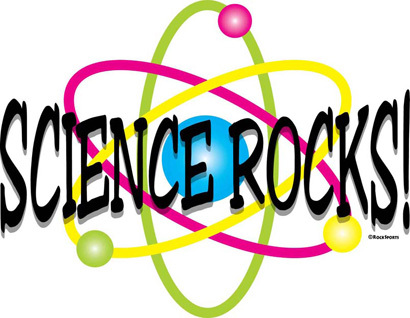 Public Viewing 3-4 PM and it will be followed by Canada Wide Science Fair award ceremony 4:15-5:00 PM. 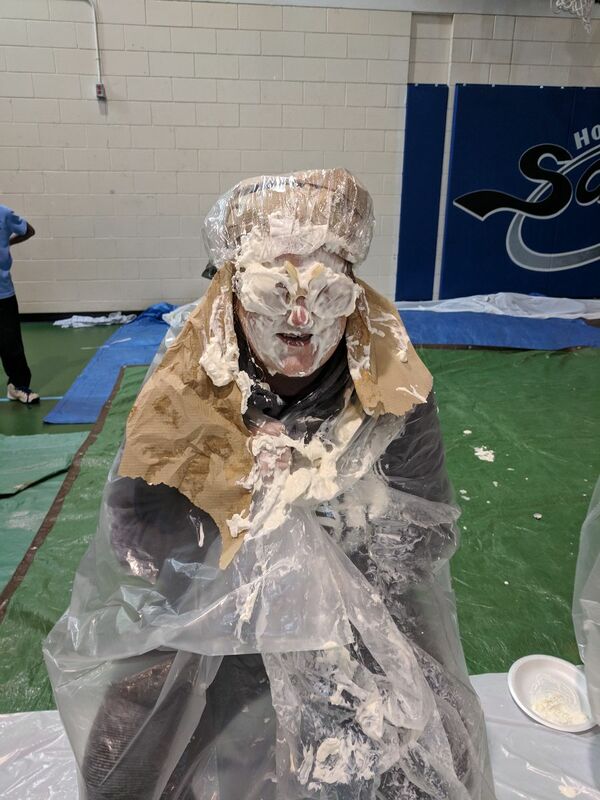 A big thank you to all of the volunteers who participated in Pi Day, and to Science Club for organizing the fundraising event. 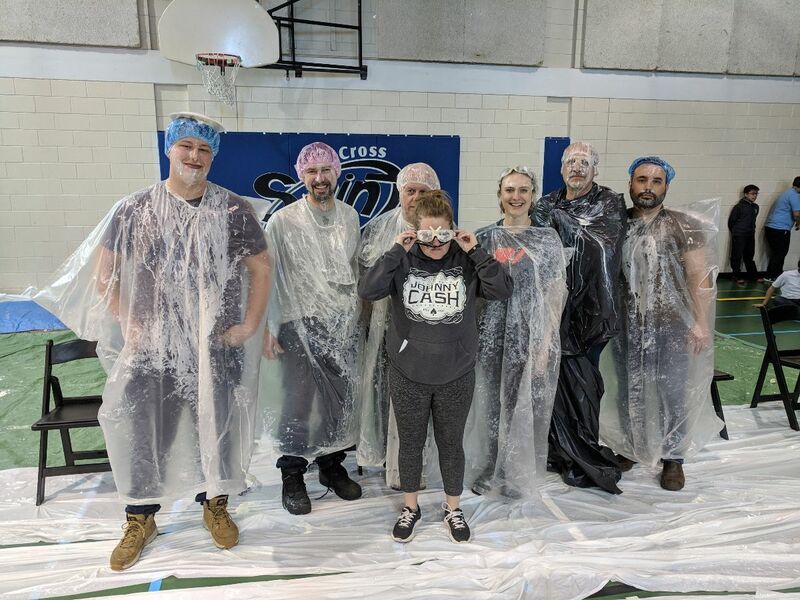 Mr. LeSage, Mr. Herr (regular substitute teacher), Ms. Smaczylo, Mr. Cap, Mr. Matt Allard (city councillor for St. Boniface), Mr. Hrizai, and Ms. Cruse were all targets for the afternoon. Check out our Facebook Page for more pictures.